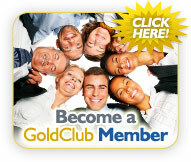 As a member of Gold Club Discounts you are eligible to receive a $15.00 Cash Back Savings on your next purchase! Once you become a Gold Club Discounts Member, you will receive a welcome email that will detail the full instructions outlined below. Make any purchase at our partner’s website within the next 90 days. Print a copy of your order receipt from that online store. Write the return mailing address where you wish to receive your savings check in the address area in the email printout. Or, you can forward an email copy of the purchase order receipt that you receive from your next online order within the next 90 days, including your return mailing address in the body of the email, to customerservice@GoldClubDiscounts.com. Please title the subject line "Cash Back Savings Redemption – your name"
Allow 4-6 weeks for us to process your Cash Back Savings and mail you your $15 savings check. Use your $15 Savings money for anything you wish! Continue to use your Gold Club Discounts Membership to save money each and every time you shop. Please note: Do not attempt to redeem and/or mail your Cash Back Savings through one of our partners. You can only redeem your $15 Cash Back Savings directly through our team at Gold Club Discounts. Your $15 Cash Back Savings is a one-time only, non-transferable offer. You must redeem your $15 Cash Back offer within 90 days from receiving your confirmation email or the offer becomes null and void. If you did not receive your confirmation email, please contact customer service. Only one Cash Back Savings may be redeemed per household.